Richmond is a small city in Kentucky with a rich history, from the pioneer settlers to the Civil War. Its historical attractions make the city a magnet of tourism. A thriving entertainment and restaurant scene are more reasons to visit Richmond. Downtown Richmond features beautifully restored buildings that retain the look of the 19th century commercial districts. Stop by the restaurants and boutique, or take a self-guided tour of the buildings on the National Register of Historic Places. Find guides, booklets, and more information at Richmond Visitor Center. Richmond is the home of two State Parks, White Hall Historic Site and Fort Boonesborough. History truly comes to life at both attractions. Visit White Hall State Historic Site for a look into the 44-room Italianate mansion that was once the home of Cassius Clay. Visitors can appreciate the beautiful 19th century decor in the home. Also, take a walk in the enchanting landscapes outside the mansion. A popular site for weddings and photo shoots. Tourists visit Richmond for its beautiful historical sites. At Quality Inn, we are happy to provide exceptional lodging and customer service to all our guests. Tourists that want a more immersive experience can visit Fort Boonesborough. The park is a short drive from I-75 in Kentucky’s fabled Bluegrass Region. Explore the fully working fort, containing cabins, bunkhouses, and furnishings. Watch as resident artisans create tools and pottery to show what pioneer life in Kentucky was like. Richmond has many fun and educational attractions. Next time you’re in Central Kentucky, make sure to stop by and see what our city has to offer. Quality Inn welcomes Richmond’s tourists and visitors. 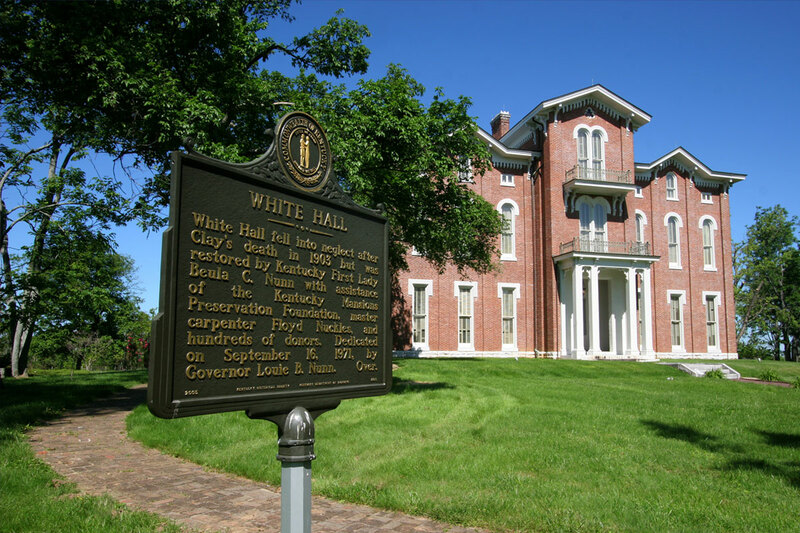 Our hotel is near White Hall Historic Site, conveniently located off Interstate 75.